I know what you need in your life. 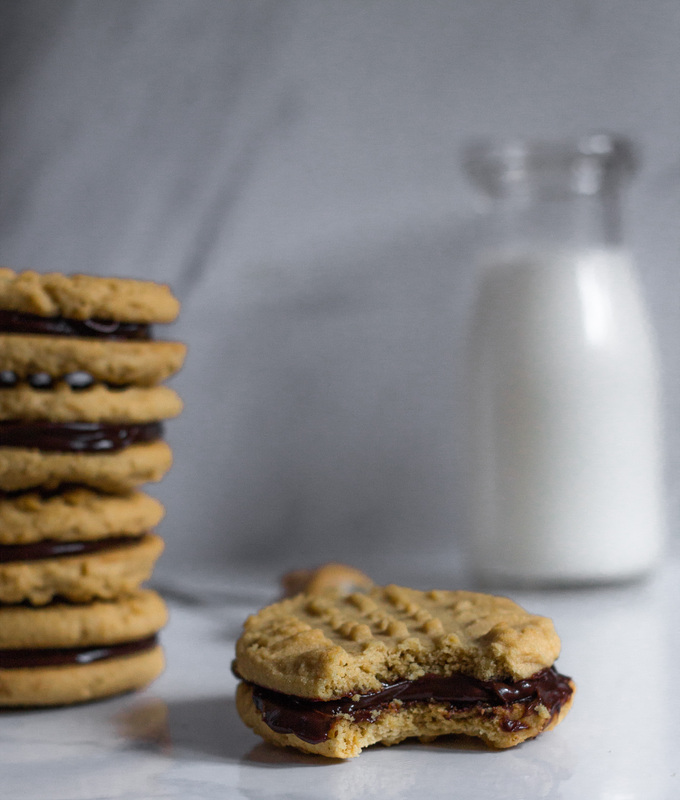 Peanut Butter Sandwich cookies with Chocolate Ganache. 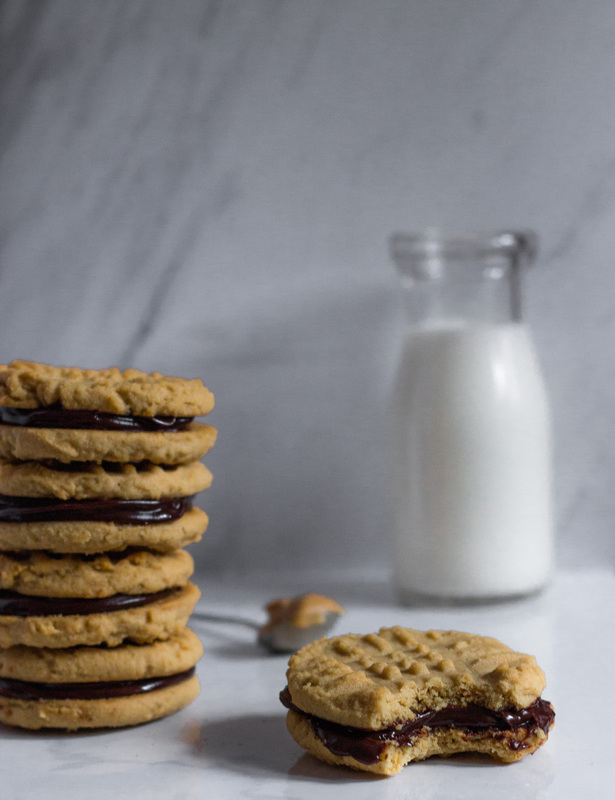 Whether it’s for Valentine’s Day treats for a loved one, Galentine’s Day for a girl’s brunch, gifts for students, or just a general cookie craving, I guarantee that these will hit the spot. So much so that I had to give them to students AND send them to friends. Because otherwise I would have eaten every. single. cookie. Seriously. These cookies have been a little idea in my head for the longest time. 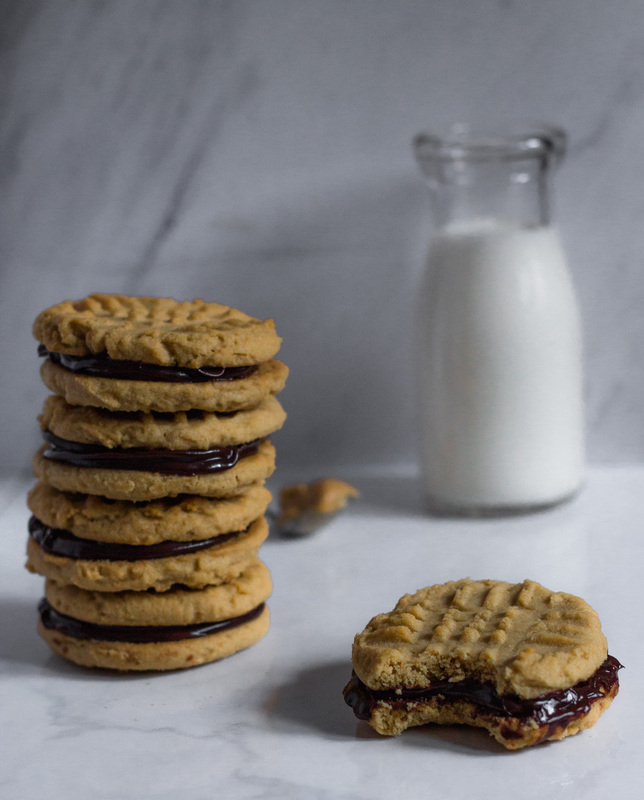 I love chocolate and I love peanut butter and the idea of combining the two of the into a sandwich cookie has been something I haven’t been able to shake. 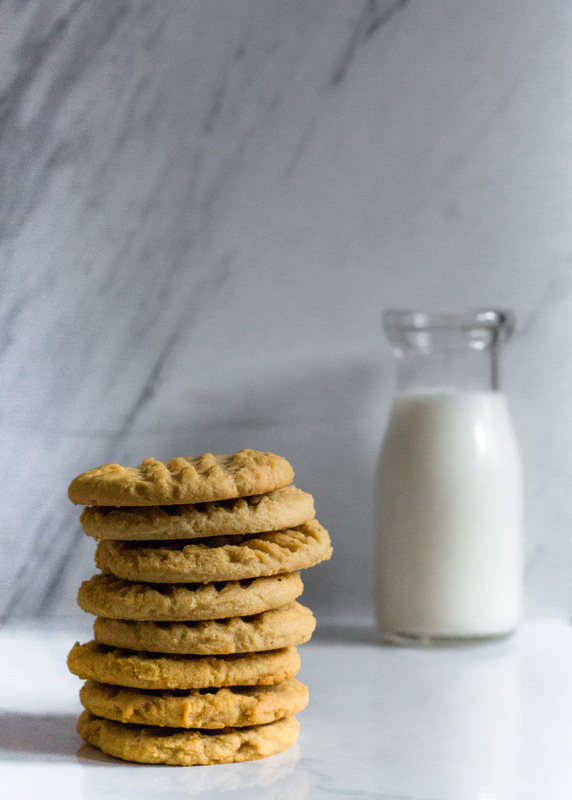 These cookies are not only delicious and make a great treat for your friends and loved ones, they were baked to help raise money for pediatric cancer! I wasn’t able to participate in last year’s event but I wanted to make sure I was able to both donate and participate this year. Here’s a little message about the event and organization! We’ll be accepting donations through March 1! Preheat oven to 350 degrees Fahrenheit. Line sheets with parchment paper or silicone baking mats. Set aside. 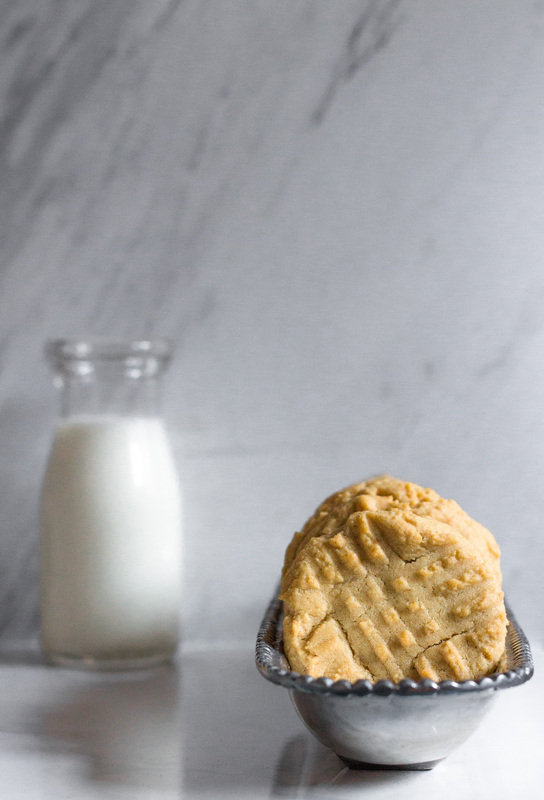 In a medium sized bowl, whisk together flour, baking soda, baking powder, and salt. In a large mixing bowl, beat together butter and both sugars until combined and smooth. 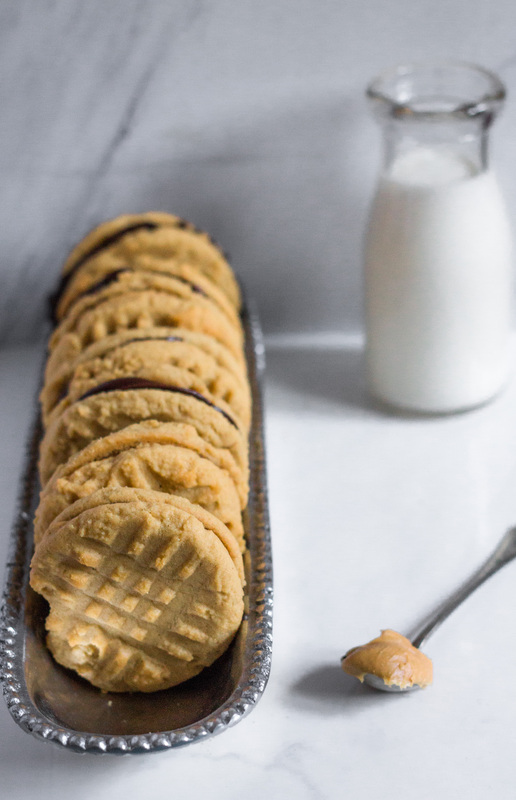 Add peanut butter and mix together. Add in egg and vanilla until combined. While on slow, add in flour mixture slowly until just combined. Scoop dough out and roll into balls, placing them on the baking sheet 2 inches apart. Using a fork, slightly flatten the cookies and turn fork in the opposite direction and flatten again. 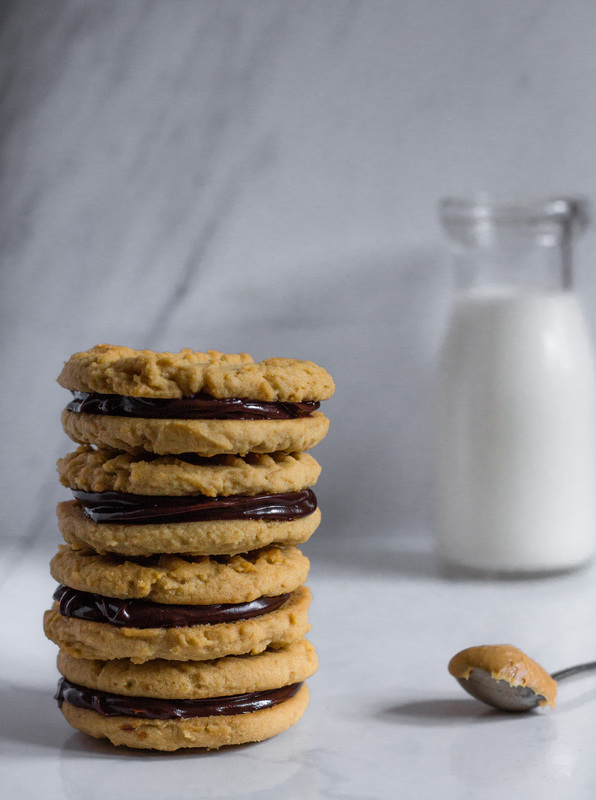 Bake cookies for 9-10 minutes, until cookies are lightly golden brown on the edges. 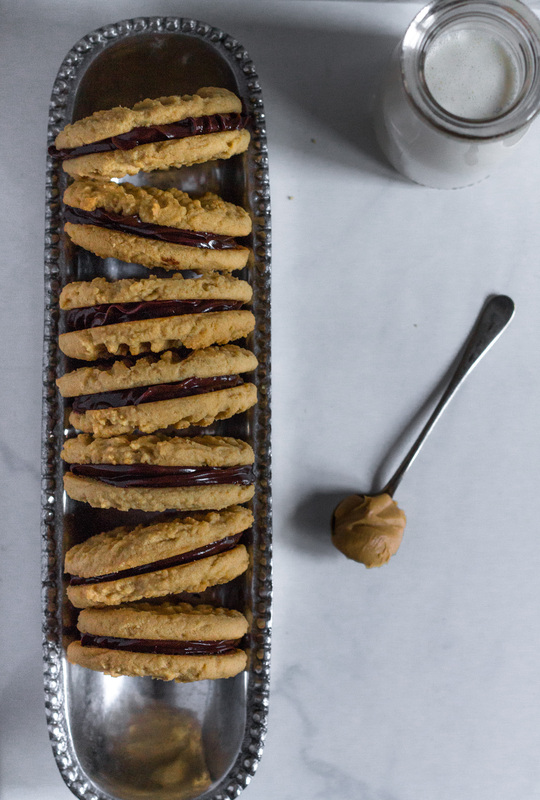 Let cookies cool on baking sheet for 5-10 minutes. Transfer to wire cooling rack and let cookies cool completely. While cookies cool, chop chocolate and put in heat proof bowl. Set aside. In a small sauce pan, heat up heavy cream until simmering and little bubbles form on the side. Pour warm heavy cream over the chocolate and let sit 3 minutes. Slowly stir together until smooth and combined. Place a piece of plastic wrap directly on top of the ganache so there’s no air between the plastic and chocolate, and either refrigerate or leave ganache on countertop to set up. When ganache has thickened, spread the ganache on the back of one cookie and place second cookie on top, or place ganache in a piping bag and pipe ganache onto back. 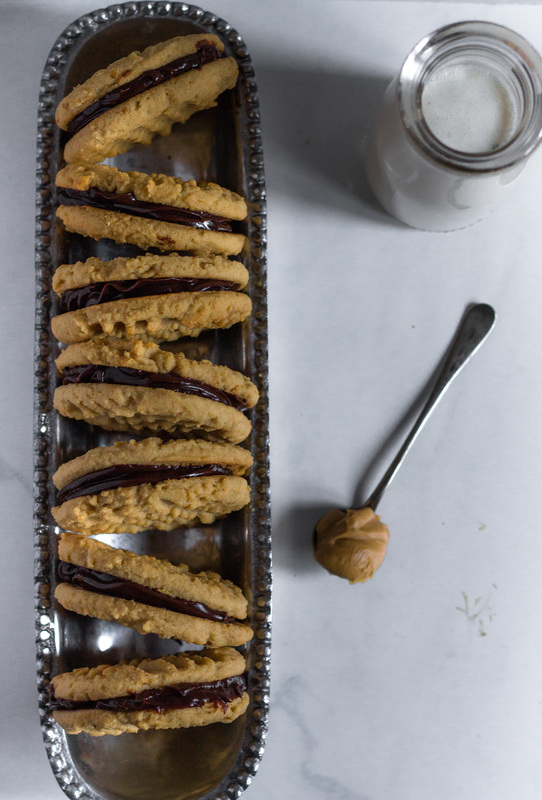 Store cookies in an airtight container and enjoy! Check out these recipes from our other participants! I love this community.